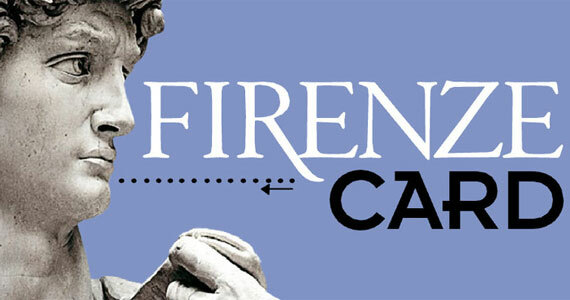 Blog / Florence / Finally, it’s here: the Firenze Card!! A long time in the planning, it is finally here: a museum pass to visit Florence! Valid for 72 hours, the city pass gives access to over 30 of Florence’s top state museums including the Uffizi Gallery and the Accademia, which houses Michelangelo’s famous David, as well as city museums such as Palazzo Vecchio. The card allows you enter all of the museums once during those 72 hours; the card is activated at the time you first use it and not from the time when you buy it which is a really selling point. It gives you access to any temporary exhibits in the museums and there is no need to book entrance into museums. Another benefit: unlimited use of Florence’s public transportation system as well! The introduction of the card was announced for today, March 25, since Florence celebrates its traditional new year on this date. It is sold online (you get a voucher, you still need to collect it once you’re in Florence) but this is so new, it might be better for you to wait to get to Florence and buy it at one of the nine locations where the card will be sold. The card costs 50 euros per person – it is not clear whether there will be a children’s version available as well (EU citizens under 18 do get free access with an adult who has purchased the card). Another thing that isn’t yet clear is whether it will be possible to skip queues at the busiest museums, in particular the Uffizi and Accademia. So expect some wrinkles that will need to be ironed out as the system rolls out and is put to use.